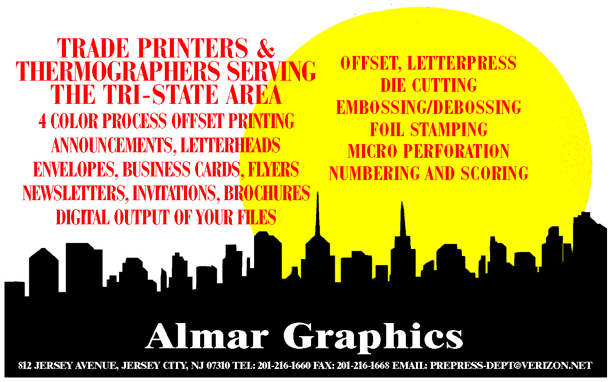 Almar Graphics is among the Tri-State Area's premier and reliable printing establishments. For quick turnaround of a full range of quality printed products from thermography (raised ink), to full color commercial collateral. Enjoy your visit to our site, and stop by and see us in Jersey City!